I would like to say thanks for arranging a very nice tour for me. Specially i appreciate the responsibility from Sandeep to solve my queries and other issues for transport and accommodation in hotels. Other staffs from ARV also very friendly approach. In one word it was a good trip for us. I will refer ARV to my friends and family too. Very good experience and good arrangements by you. I am satisfy with this arrangements. 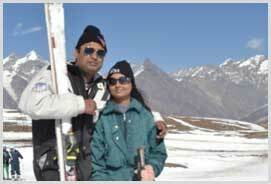 It was an excellent and full of excitement journey to DELHI-MANALI-SHIMLA-AGRA. I would like to thank ARV HOLIDAYS for that. Accommodation provided was unbelievable. And the Car they have provided was too good.I will suggest my friends to go by this ARV HOLIDAYS for tours. The driver allocated to us ( Mr.Kishore) from Delhi to Agra was very punctual and friendly. Although he was quite knowledgeable and knew the places and alternate routes to destination and also he reached us on time in Airport.Please pass on my appreciation and special thanks to him. I will definitely recommend ARV HOLIDAYS to friends and family, and I’m sure I’ll be back on vacation. We thank you and your team again and hope to see your team again in future. Sorry for delay, feedback about our Himachal tour experience.It was great experience.one of the Best and nice arrangement from ARV.co operative tour manager,package was good ,Manager was good listener,Change one hotel immediately on our request, Food was nice.Only one minus point is Driver was not friendly from Manali..he was not cooperative after Manali. ?why don"t know.But one plus point is his DRIVING was safe.for driving 100 marks.Any body can think about ARV HOLIDAYS.It was a wonderful experience with ARV. Thank you very much for arranging such a good tour package for me.Though there are many thing,which are beyond your direct control ,but your sincer and constant effort makes my tour memorable.But Jas & Anup there is always scope of improvement and i think my proper feedback will definitely help you to improve your service and which in turn help you to achieve your business goal. 1.Dear during my tour,i had worst experience in hotel Out Town.this is the worst hotel,i had ever seen in my life.They simply don't have any idea about my tor package.even if after reminding them so many times also they are not able to provide the service.one simple example one day i asked them for match box to lightning the honeymoon cake and you don't believe, they have taken 1hr30mins to give that one(that also after 4 reminders).so its my humble request please don't alot this hotel to any one in future.in comparison to this the hotel Khusbo resort is 100 times better in service and room quality. At last i am, very much thank full to you to arrange my father's tour in very short period of time.Anup thank you very much for your everyday feed back which in turn makes my tour memorable. Thanks a lot for your given service and the tour itinerary what was the tour planned by your side, it will be my pleasure to take of service. Anup ji after took this good service I will be assured to pass your service to another person belonging me. I want to tell one more thing to pls assist me the my next pre planned tour of LEH from manali by road and return by Air from the LEH airport. And the vehicle should be TOYOTA INNOVA. Tour for shimla and manali overall was good we enjoy a lot As per requirement everything was arranged only I had a problem in manali for meals. Publisher Copyright© 2011-2017 ARV Holidays Pvt Ltd.